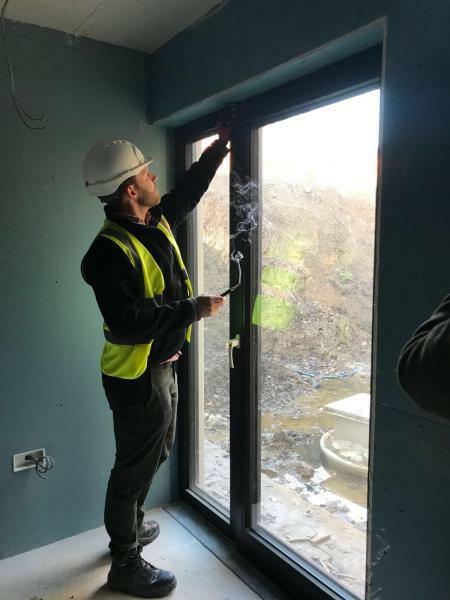 Our client contacted Enhabit as part of their brand new Passivhaus build on the edge of a beautiful Victorian park in Roundhay, Leeds to request airtightness forensic testing services. The client chose Enhabit because of our unique position as both Passivhaus consultants and a building airtightness testing organisation. The Passivhaus airtightness testing criteria is very different to the standard Building Regulations / SAP testing criteria, requiring different building volume calculations and a broader understanding of the aims and requirements of a Passivhaus. An initial testing organisation that the client had appointed had failed to understand the distinction of this project being a Passivhaus, and consequently had been unable to correctly test the property. 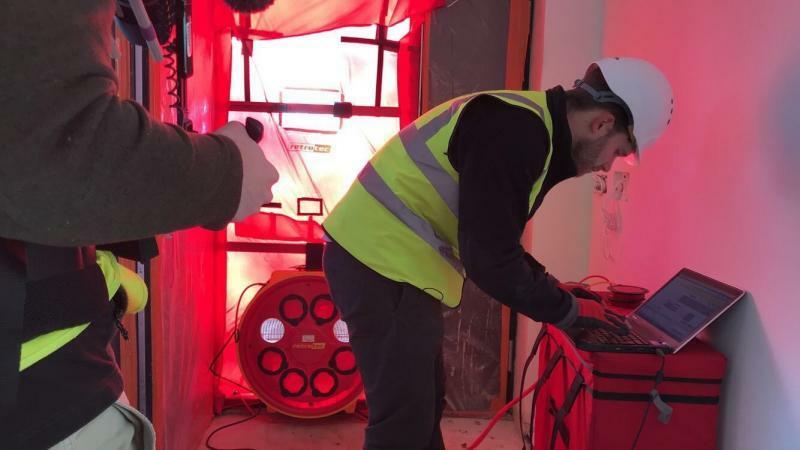 Enhabit visited the site in October 2018 to hold the initial forensic airtightness testing, having calculated the volume figures in the office. The new build project was at an advanced stage, with all fabric elements installed and all service penetrations through the airtightness barrier completed. The house was depressurised and pressurised and an average figure from the results was taken, as per Passivhaus guidelines. The house was comfortably airtight per Building Regulations standards, and was on target to reach Passivhaus standards of airtightness. 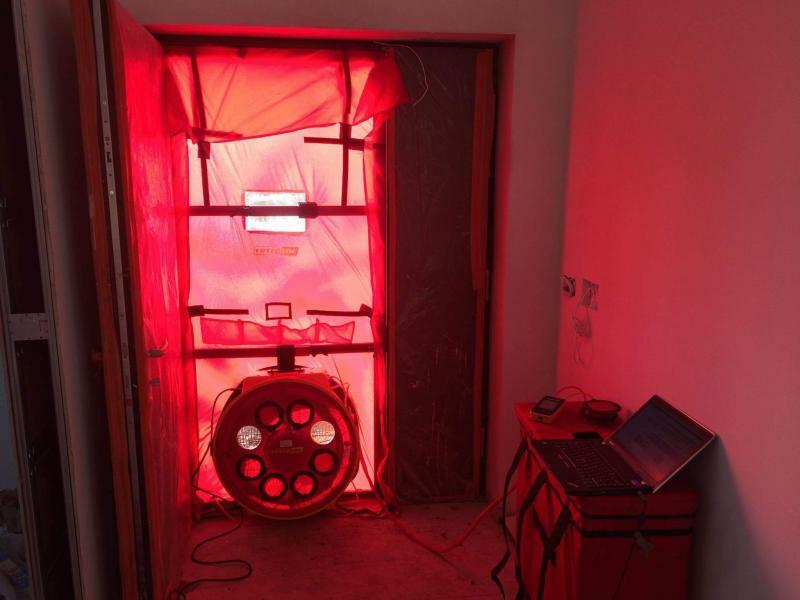 Whilst the property was depressurised Enhabit’s lead airtightness technician assessed the building fabric for leaks and punctures that may affect the final airtightness figure. The gas condenser boiler casing was found to be faulty, failing to seal itself airtight as part of its balancing. This remedial action was followed up by the contractor team to fix and seal. The house needed to be airtightness tested again as part of the compliance stage for both Building Regulations and Passivhaus accreditation. Once completed, the property would prove to be immensely warm and comfortable in winter and cool in summer, with exceptionally high indoor air quality.